Contour kits that help shade in cheek hallows and highlight cheekbones are a makeup bag staple. But for some faces— the very round and full — no amount of makeup will recreate sculpted, angular cheekbones. In such cases, a common cosmetic facial surgery procedure known as buccal fat removal offers a permanent solution. The American Society of Plastic Surgeons doesn’t track the procedure’s popularity, but doctors say it’s on the rise. Here’s what you need to know before undergoing this facial contouring procedure. Buccal fat removal helps create a more pronounced cheekbone by reducing fat in the lower face. During the procedure, a plastic surgeon removes a strip of fat, the buccal fat pad, from inside the cheek. The buccal fat pad is located deep inside the cheek in the back of the mouth, surrounded by muscle, near the second upper molar. It extends right along the mid-cheek area and is thought to act as a cushion for sensitive nerves of the face and an in babies aid chewing and sucking. The surgery takes about an hour, and is usually performed under sedation with local anesthesia. The doctor makes a small two to four centimeter-long incision through the cheek and thin muscle. “You press on the cheek from the outside and the fat comes right out,” says Dr. Richard Swift, a plastic surgeon based in New York City. Important to note: buccal fat reduction is not liposuction. Use of liposuction in the face can cause linear marks or bumps, so it’s not done. But in addition to buccal fat removal, a doctor may use liposuction to slim a double chin to complement the slimming effects of buccal fat removal. The surgery cost ranges from $3,000 to $5,000, varying by location. Do either of your parents have very round cheeks? Have you ever been told you have a baby face or chipmunk cheeks? As anyone with a round facial structure will likely know, this fullness cannot be reduced through diet or exercise. But buccal fat removal might offer a solution. Since fat removal surgery eliminates the fat which creates volume in the lower face, the result is a slimmed down cheek and consequently, a more defined cheekbone. Some cheek fullness may resolve by the late 20s, so it may be wise to wait until after that to get the procedure. With the allure of sculpted cheekbones being so strong, it’s worth emphasizing who is not a good candidate for buccal fat removal. There are other diet and exercise resistant forms of excessive facial fat, and those types shouldn’t be treated by this surgery. If you have other conditions that might contribute to fullness in the face, like an under- or over-active thyroid or Graves disease, it’s unlikely buccal fat removal will help. There is also some controversy surrounding the procedure, as many doctors recommend the procedure for only a very specific patient type—those with truly full, round cheeks. In that sense, buccal fat removal isn’t a guarantee of Naomi Campbell cheekbones for all. If you have “average” facial fullness and are simply hankering more defined, high cheekbones, there are better options for you. More on that next. Doctors caution removal for those who do not have excessive fullness, because doing so may cause a sunken appearance years down the road. “Think about someone like Nicole Kidman, in her twenties — that face shape. If you took the buccal fat out, and in 20 years if she’s still a size two, she might look sunken in,” says Dr. Swift. Here’s why: when you think of facial aging, think “layers.” Our faces are three-dimensional structures with bone, muscle, fat and skin. As we age, the bones of the face shrink and change shape. We lose collagen and most important for this conversation, we lose fat. And not just superficial fat, but the deep fat that supports our faces also slide and thins. If a patient who doesn’t have very full cheeks removes her buccal fat, she’s in some ways setting the stage for a fat deficit later. Hallow, sunken cheeks maybe appear later in life, even as early as the mid to late 40s. 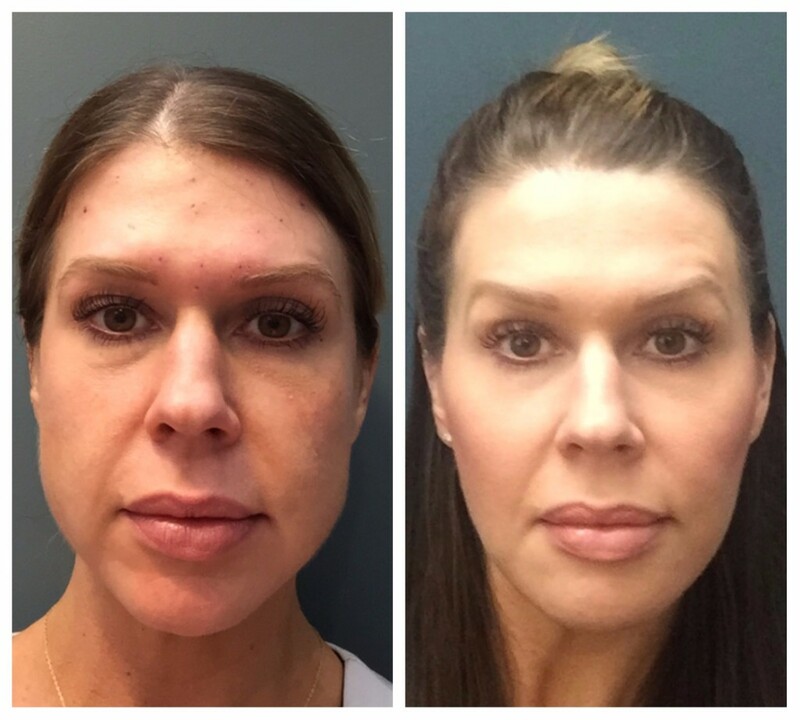 “The procedure should be reserved for who have fullness in the lower face or a ‘baby face.’ If a patient has no fullness in the lower cheek and wants more cheek definition, the best treatment is filler injections such as Voluma,” says Dr. Rowe. For those people, the focus should be on making the cheekbones a bit more pronounced with a highly viscous filler. As is typical of any surgery, doctors stress the importance of going to a plastic surgeon who has performed many buccal fat reductions. “It’s not all or nothing,” said Dr. Swift. “We certainly don’t have to remove the entire fat pad. You need to go to someone who knows what to do in order to achieve the desired look and has an awareness of facial anatomy. The bottom line: if you think you may want buccal fat reduction, consult with an experienced plastic surgeon to figure out your options. Days after the surgery, patients should expect some swelling, bruising, and mild pain and discomfort. You may need to sleep with your head elevated for a several days, but most patients can return to work the next day or after a weekend off. Recovery typically occurs over a few weeks, with stitches falling out after seven days and swelling subsiding after about two weeks. And since buccal fat removals are performed with an incision inside the cheek, there is no visible scarring. “I usually give people a mild steroid to blunt the inflammatory response,” says Dr. Swift. Avoid acidic food for the few days, to ward off irritation at the incision. You’ll see some result almost immediately, but won’t see the full effect until after swelling has gone down, beginning at about two weeks post-operation. “This procedure is my number one choice for facial fat contouring in younger patients, and it has a high level of patient satisfaction,” concludes Dr. Swift.